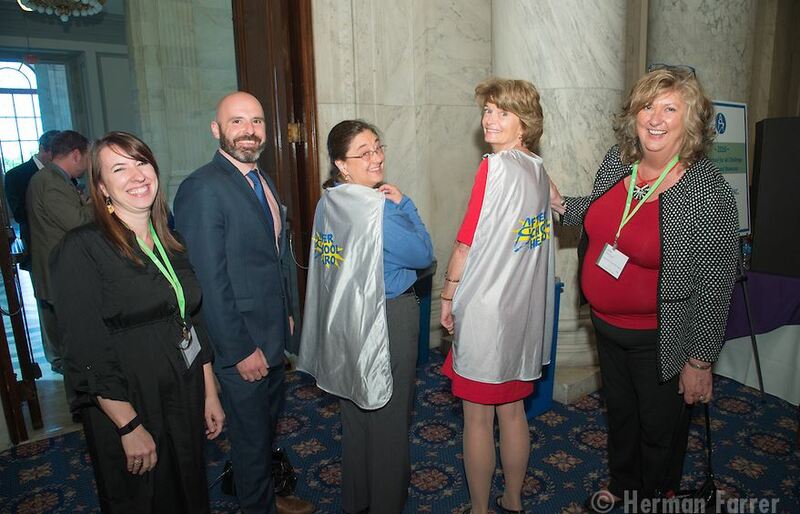 Sen. Lisa Murkowski (R-AK) and her Senior Legislative Assistant Karen McCarthy (center) show off their "Afterschool Hero" capes alongside the team from the Alaska Afterschool Network. 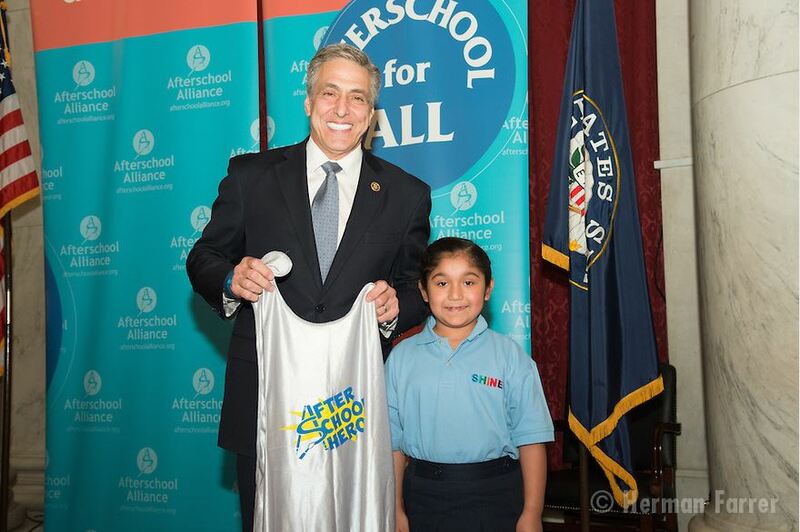 SHINE participant Mia Zamudio presents Rep. Lou Barletta (R-PA-11) with his "Afterschool Hero" cape at the Afterschool Showcase. 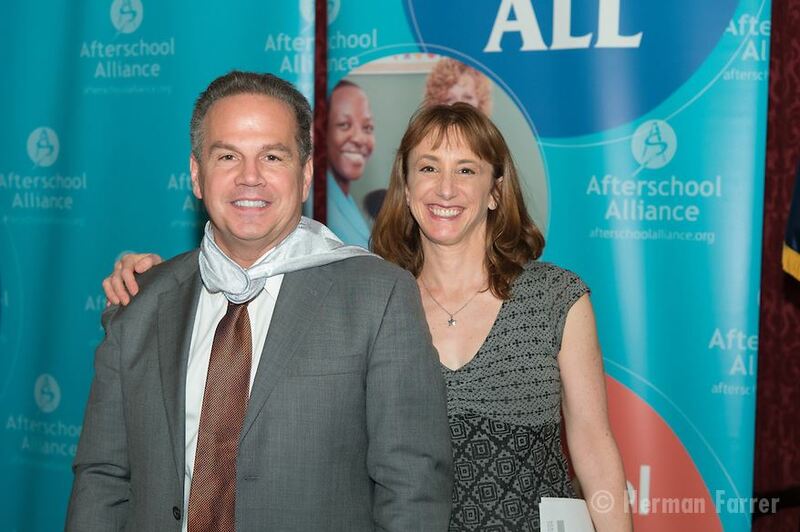 Rep. David Cicilline (D-RI-01) wears his "Afterschool Hero" cape with Executive Director of the Afterschool Alliance Jodi Grant. 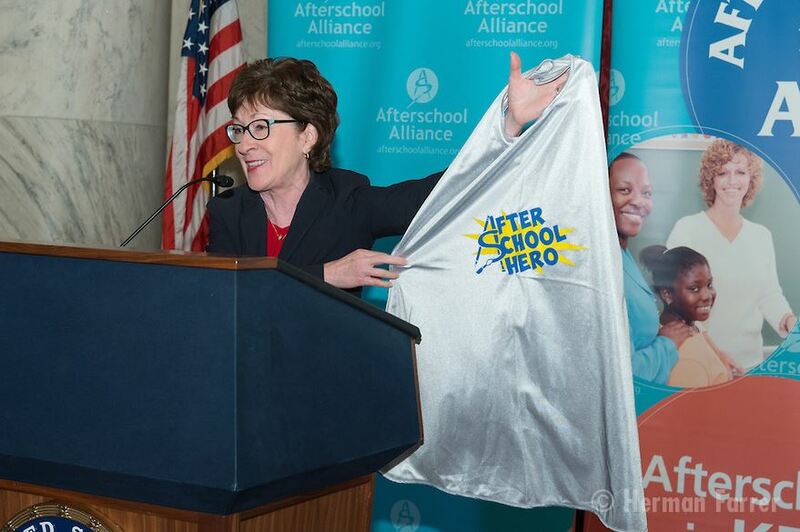 Sen. Susan Collins (R-ME) shows off her new "Afterschool Hero" cape at the Afterschool Showcase. 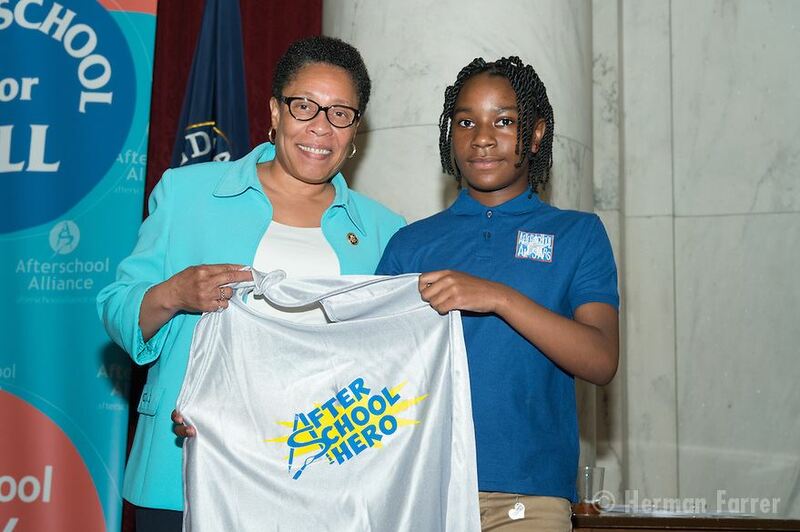 Rep. Marcia Fudge (D-OH-11) is awarded her "Afterschool Hero" cape by After-School All-Stars participant Nia Crowell. 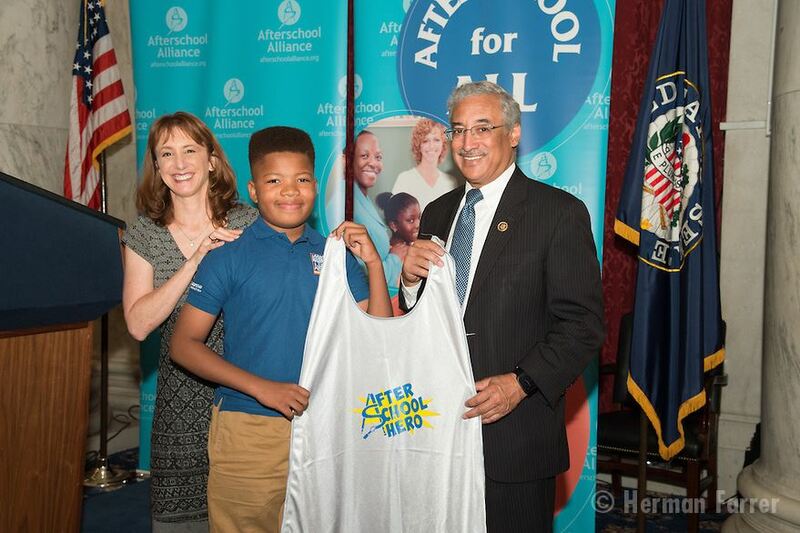 Executive Director of the Afterschool Alliance Jodi Grant and After-School All-Stars D.C. participant Kyle Brewer present Rep. Bobby Scott (D, VA-03) with an "Afterschool Hero" cape.